For Multicultural Monday, I am reviewing a new book called The Thunder Egg by Tim J. Myers and illustrated by Winfield Coleman. This fictional story is about a Cheyenne girl, Stands-by-Herself, who is a bit of a loner and a dreamer. The other youth often tease her since she is so different. However one day she finds a rock that looks like an egg. Her grandmother tells her it looks like a thunderbird egg. Stands-by-Herself takes care of the thunderbird egg like it is her child. Then one summer when the rains will not come and the people are starving, she sacrifices the egg to the thunderbird. That night there is thunder and great lightning and the tree she left the egg under is split. She goes to the peak where she left it and finds the rock is split open with crystals inside. When we read the title of the book, Hazel asked me what a thunder egg is. I admitted to her that I did not know, but told her we would find out in the story. We did!! I also found a couple of pictures I could use to show you. 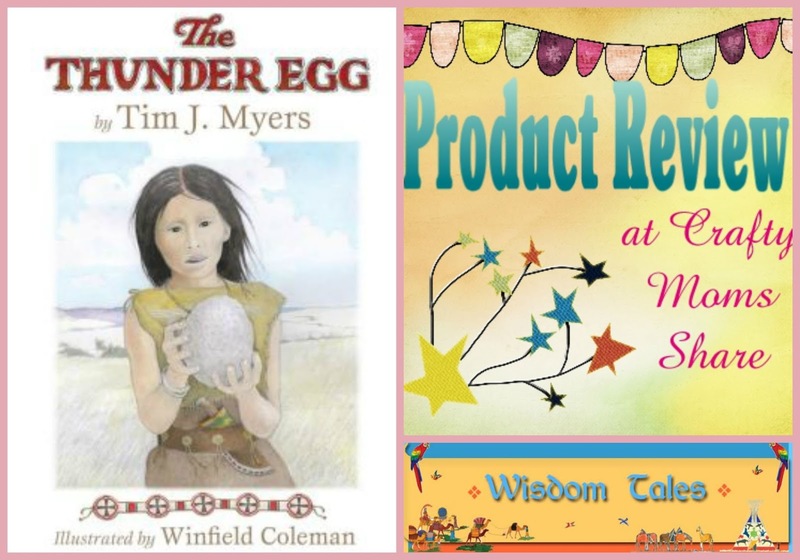 In the author's notes at the end of the story, Tim Myers shares that he has always been fascinated by Native Americans and had heard many stories about the great thunderbird who is the creator's great bird that brings the rain and his wings make the thunder. Apparently the thunderbird is in many tribes' legends. The story itself is a nice story where a young girl who thinks for herself becomes the hero of her village. Hazel asked if it was our book or the library's in hopes that we get to keep it because she really liked the story. The illustrations are beautiful and yet simple, and one gets a sense of being on the Great Plains. At the end of the book there are notes on the illustrations giving some of the historical background on clothes and items in the pictures. I find this book an excellent introduction to the Plains Native Americans. The pictures and story are well researched and the sources are provided. 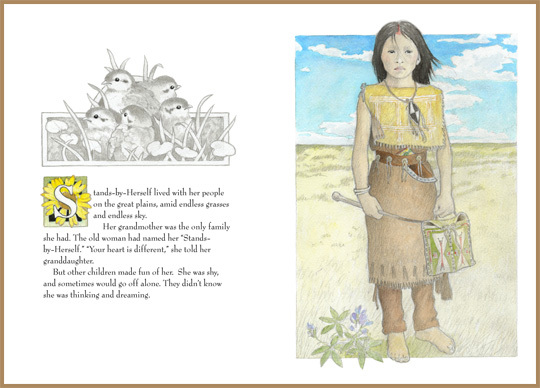 The story is a nice one for young children and throughout the book the reader learns more about the Cheyenne. As Hazel gets older I see us reading the notes at the end together so she can learn even more from the book. And of course it helps that I have a similar fascination as Tim Myers with Native American lifestyle and stories.